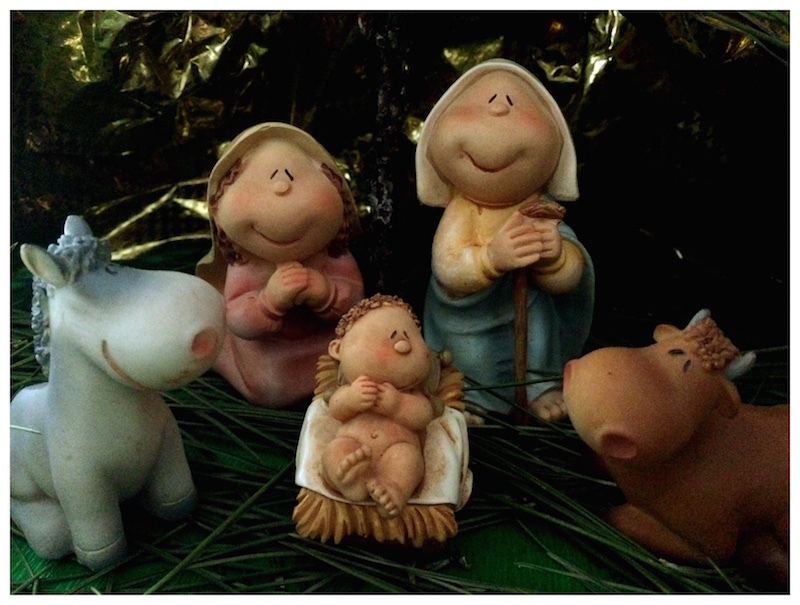 Probably many of you know that the most common way to say Merry Christmas in Italian is Buon Natale, however, how many of you know what Natale means? The word comes from Latin natus which means “to be born”, plus the suffix -alem which indicates belonging, therefore Natale means “the day belonging to the birth (of Jesus)”. Every year Christmas brings joy, presents and a wide range of Christmas recipes. The one I’m sharing with you today is actually a recipe that we posted back in 2011. However, since it’s an Italian classic and super easy to make, I’m going to share it with you once more. Introducing, again, the pandoro farcito con crema al mascarpone. First beat the egg yolks with the sugar, then add the mascarpone cheese until you get a smooth cream. Set aside. Cut the pandoro in 5 layers. Spread the crema al mascarpone on each layer (the more liquid the better, it will make the cake softer). Place each layer back, without matching the edges, in order to create a Christmas tree-like shape. I used Gianduiotti chocolate to decorate the cake, but you can use any other decoration, sometimes we even use small candles. Finally, sprinkle the cake with powdered sugar and decorate the top with your favorite object (I “borrowed” baby Jesus from the nativity). We want to wish you all a very Merry Christmas. Buon Natale a tutti da Paolo e Francesca! 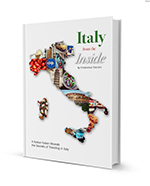 Italy From The Inside: A Native Italian Reveals the Secrets of Traveling in Italy. 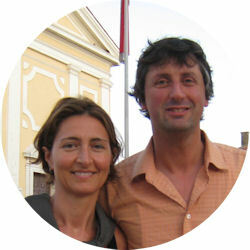 Meet Paolo and Francesca Tosolini, the authors of this blog and the eBook Italy From The Inside.